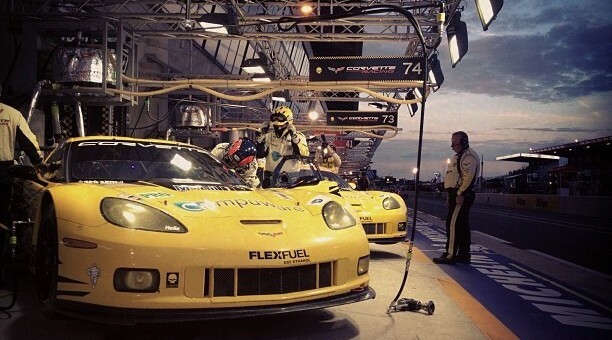 Even though this isn’t a Wednesday — and thus not the time for a Wordless Wednesday — we just couldn’t resist sharing this photo with you of the two Corvette Racing C6Rs getting ready for a practice run at the Circuit de la Sarthe in France ahead of this week’s motorsports mecca that is the 24 Hours of Le Mans. Aren’t they gorgeous? And fast, too. If you haven’t already, be sure to check out Episode 1 and Episode 2 previews of the race.